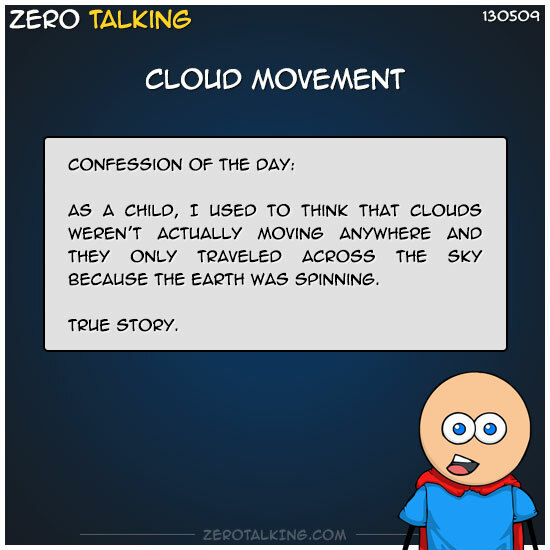 As a child, I used to think that clouds weren’t actually moving anywhere and they only traveled across the sky because the Earth was spinning. 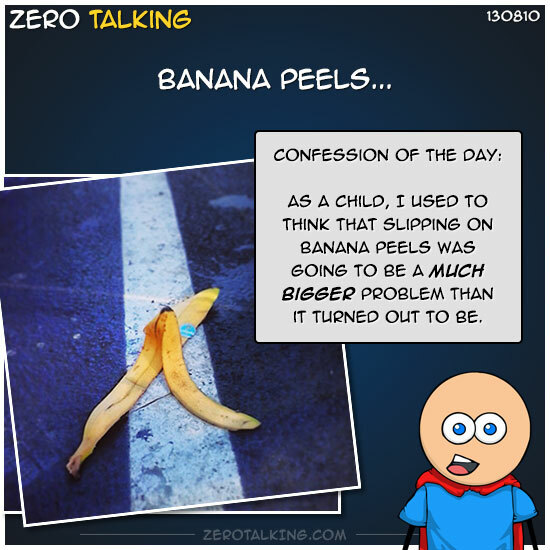 As a child, I used to think that slipping on banana peels was going to be a much bigger problem than it turned out to be. 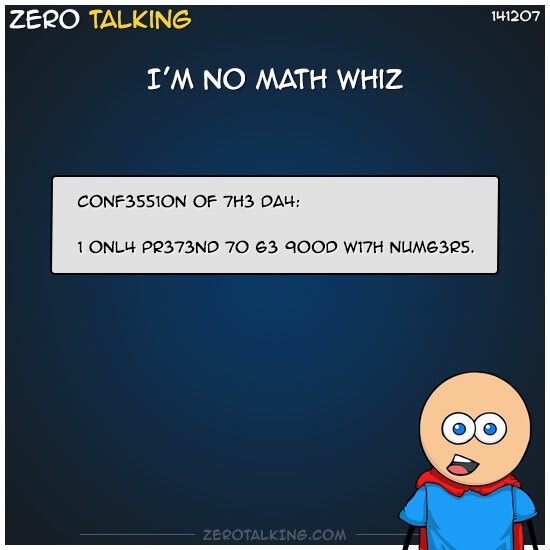 1 0nl4 pr373nd 70 63 900d w17h num63r5. 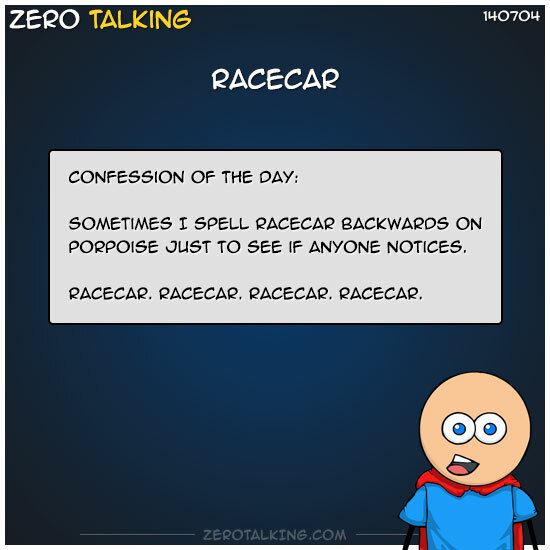 Sometimes I spell racecar backwards on porpoise just to see if anyone notices. Every time someone says “Let me grab my manager for you.” I picture them going into the back room and doing something they could get fired for. 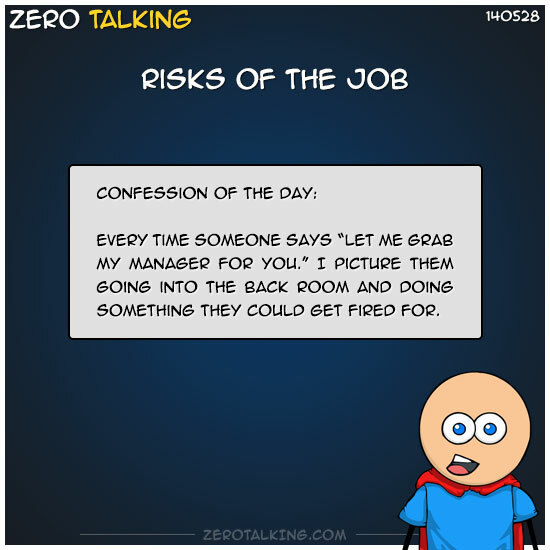 Zero: …I suppose the alternative is you could ask someone to grab their manager, and when they get their manager, you can say, “That’s not what I meant.” And then they show YOU the exit. Candie: Innocent-looking employee quietly approaches manager, gently cradles a buttock, and walks to their locker to gather their belongings. 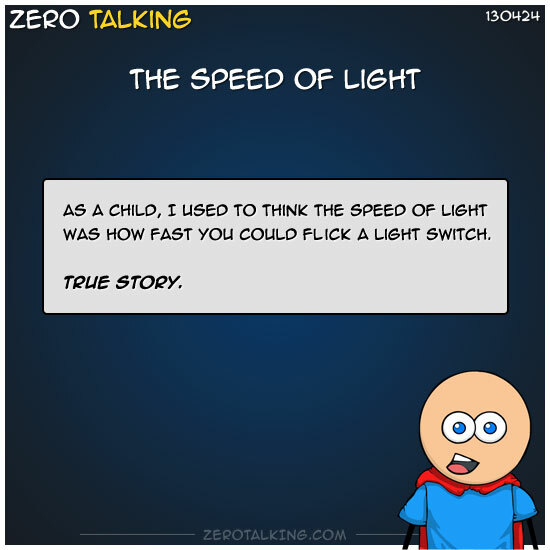 As a child, I used to think the speed of light was how fast you could flick a light switch. But it doesn’t mean it still doesn’t bug me (a little) when I discover someone who doesn’t. Or I write something that inadvertently offends someone. Because it does (a little). It doesn’t ruin my day, but it does give me something to pause and consider. 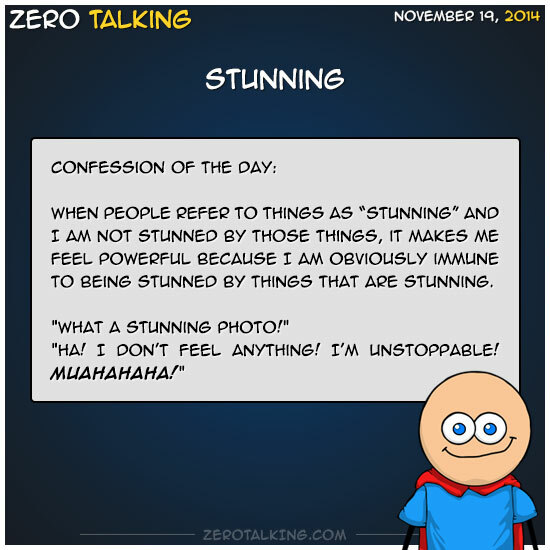 When people refer to things as “stunning” and I am not stunned by those things, it makes me feel powerful because I am obviously immune to being stunned by things that are stunning. 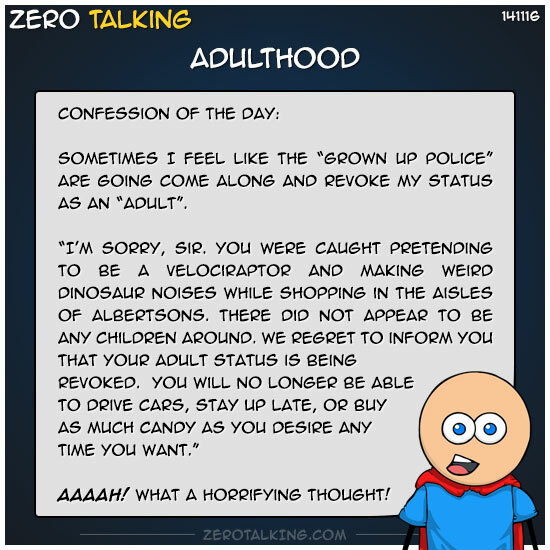 Sometimes I feel like the “Grown up police” are going come along and revoke my status as an “adult”. Aaaah! What a horrifying thought!